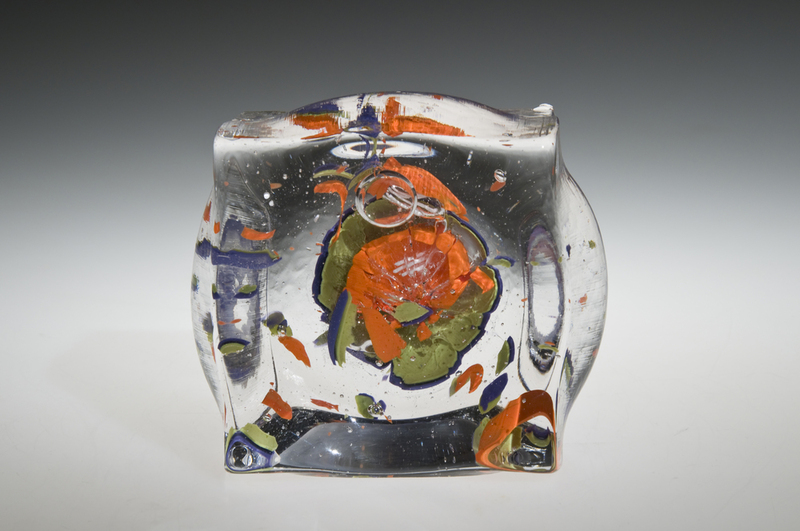 Hot cast glass and hot worked glass, 5.5'' x 2.5'' x 8'', 2012. 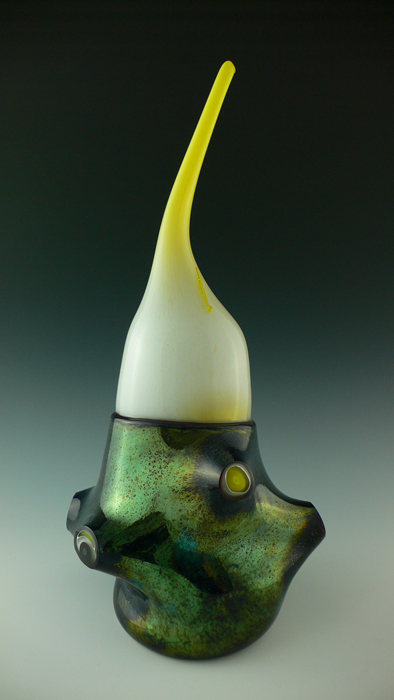 Hot cast glass and hot worked glass, 6'' x 3.5'' x 5”, 2012. 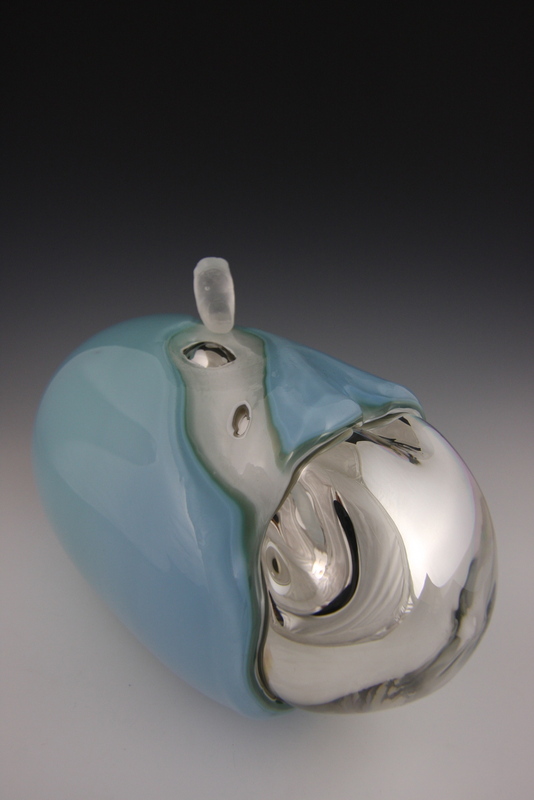 Blown, coldworked and mirrored glass, 15''x6.5''x6.5'', 2009. 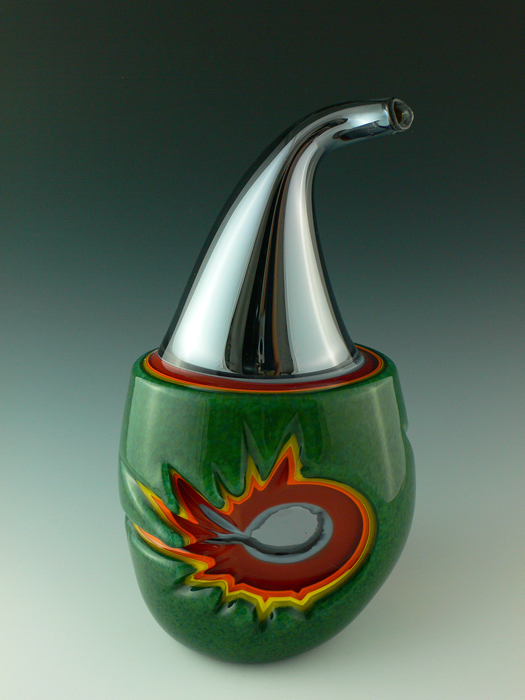 Blown, cold worked, and mirrored glass, 13''x7''x7'', 2009. 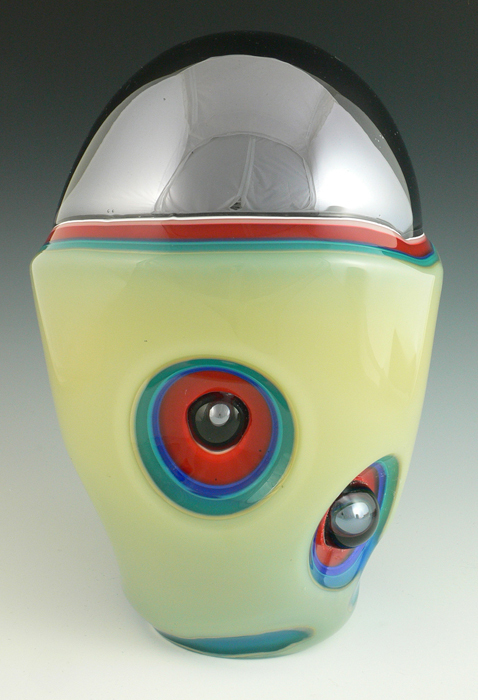 Blown, cold worked, and mirrored glass, 12''x7.5''x7.5'', 2009. Blown, cold worked, and mirrored glass, 11''x6.5x6.5'', 2009. Blown and cold worked glass, 9''x6.5''x6.5'', 2008. 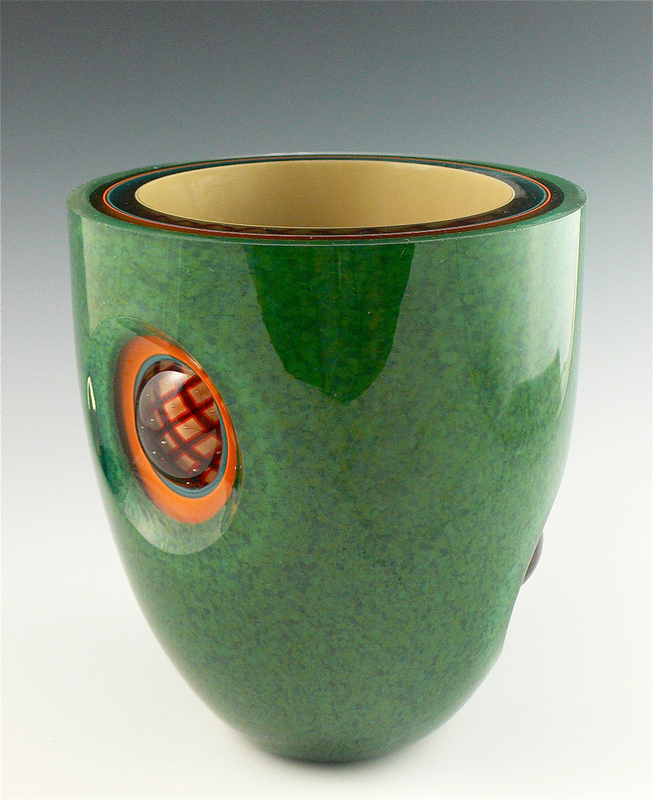 Blown, cold worked, and mirrored glass, 14''x7''x7'', 2008. Blown and cold worked glass, 19''x8''x8'', 2007-2008. Blown and cold worked glass, 8” x 8” x 19”, 2008. Blown and cold worked glass, 8''x8''x18", 2008.